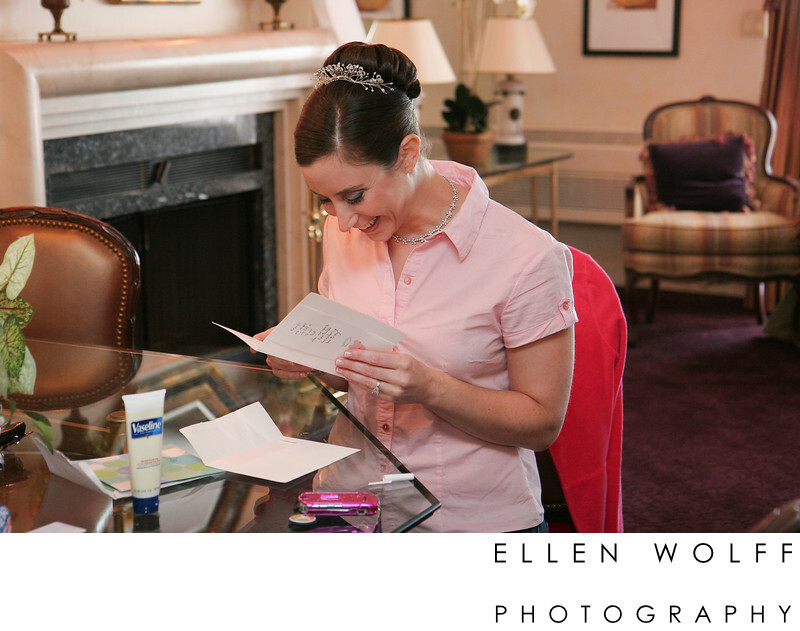 At many weddings, there is often a tender moment while the bride is preparing for her day, when a love note from the groom is delivered by the best man, This is always an emotional moment. I love the expression on her face. I imagine the groom loves it too.